Scammers are hitting mobile phones and landlines with false claims about what you need to do to get a new Medicare card. Here are some answers to your questions. Hang up and keep hanging up. Or better yet, just don’t answer. Scammers are hitting mobile phones and landlines with all sorts of wacky pitches — including false claims about what you need to do to get a new Medicare card. “The best thing you can do is not answer calls you are not familiar with,” said Mark Fetterhoff, a senior program specialist with the AARP Foundation as part of a recent robocall town hall promoted by AARP and the Federal Communications Commission. Even if it looks like a local call, it’s probably not. Many times, scammers are engaging in “neighbor spoofing” to make the number look like it’s local. Fraudsters can spoof phone numbers easily and change that spoofed number regularly. You’re more likely to answer it, if it’s a new number, experts said. Washington state consumers began receiving new Medicare cards — no charge — in September. 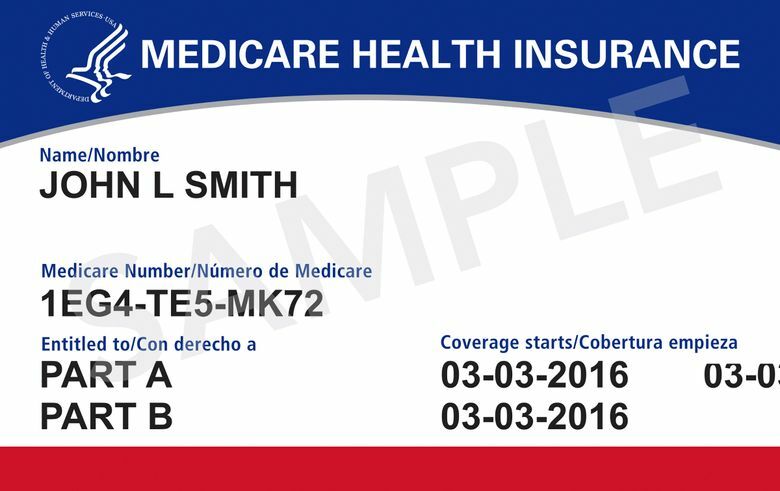 New cards will be sent nationwide to all 58 million current Medicare beneficiaries by April 2019. The new Medicare cards won’t contain your Social Security number and may provide more safeguards against fraud. Scammers, of course, are hoping to catch seniors off guard. So consumers are being warned about odd calls and phony demands. Medicare is even running TV commercials to warn about potential fraud and highlight its website, www.medicare.gov/fraud. Never agree to pay for your new Medicare card; it’s free. You don’t need to pay up to $50 to get a new “temporary card,” either. Don’t share any information if someone threatens to cancel your health benefits. Hang up and call 800-633-4227 to talk with Medicare. It’s also possible to visit the Senior Medicare Patrol at smpresource.org. Don’t disclose any Social Security numbers to someone who calls as part of some way to get a new Medicare card. Medicare isn’t going to ask you for personal information to get your new Medicare card. Don’t give your bank-account information to someone who is offering to deposit a rebate or a bonus into your bank account because you got a new Medicare card. This too is a scam. Do I somehow need to “reactivate” my Social Security number? Seniors reportedly are being inundated with phone calls from scammers who claim to be from the government and claim that somehow, someway the senior’s Social Security number has been suspended. The scammer might say the Social Security number had “some connection to fraud or other criminal activity,” according to a warning from the Federal Trade Commission. “They say to call a number to clear it up — where they’ll ask you for personal information,” according to the FTC. Do not give them your bank-account number. Don’t give them your Social Security number, either. “The caller pretends to be protecting you from a scam while he’s trying to lure you into one,” the FTC said. In some cases, experts say robocalls might warn you that you must contact the provided phone number about illegal activity involving your Social Security number. If you don’t do it, the automated call insists that your assets will be frozen until the alleged issue is resolved. Not true. The trick here: All the senior has to do is give the caller their bank-account information. One consumer on an AARP-FCC town hall claimed that she did give out that bank information to get the extra cash. But then, the scammer claimed that she clicked the wrong number and sent the senior $8,000 by accident. Would the consumer be so kind as to go out and buy gift cards — or give over her ATM number now — so that the extra money can be returned? Fortunately, the consumer who gave away the bank-account information didn’t hand over any gift cards or ATM information. Even so, she still had to work with her bank later because she fell for the first step in the scam. If you’ve already given out bank-account information, head to the bank immediately to try to fix the problem as soon as possible so scammers don’t gain access to your money. Whom should I call if I’m worried about a scam?